You're tired of the stains on your clothes and dishes from hard water, not to mention the wear and tear on your appliances, but you're unsure of what type of water softener to choose and wary of the potential cost. Never fear. 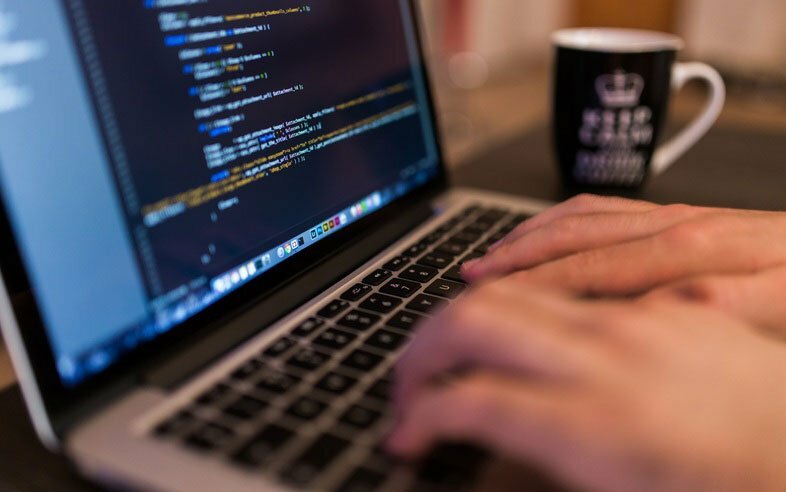 We've got you covered with a range of options and payment plans. 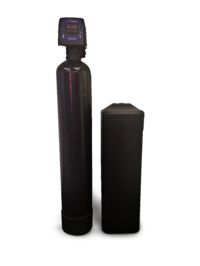 The L1 water softener is our cheapest and most economical valve. The valve of a water softener system is what controls how often the water softening regeneration process occurs. Regeneration is the process of cleaning the resin tank. The L1 is a metered unit that will measure water usage and regenerate when the volume of soft water remaining in the resin tank reaches zero. During the regeneration process, soft water is not available so there may be times when you are using hard water with this type of system. 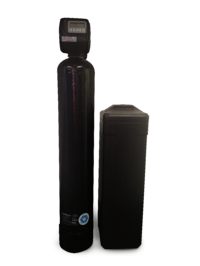 The WS water softener is our most popular system. The valve is much smarter. It is a metered system that learns your water usage. For example, if you use more water on Saturday because of laundry and house cleaning, the valve learns this. Why is this important? 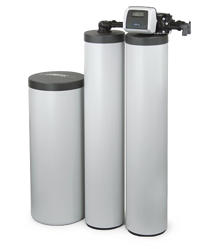 With a typical metered softener, you may have 50 gallons of soft water remaining and 200 gallons in reserve when the regeneration process occurs. But you use 300 gallons on a typical Saturday? You will run out of soft water on Saturday and will have to use hard water for part of your cleaning needs. The WS water softener, however, knows you use a lot of water on Saturday, so it will regenerate Friday night to avoid this issue. Not only that, but the system comes with a Vortec tank. The tank uses the entire bottom as the distributor, allowing for a shorter backwash cycle, higher flow rates, and no channeling of the media, saving water while also getting more capacity out of the softener. Next, we have the Vesta, the Cadillac of water softening systems. It's our most advanced system. It includes the smart valve, which monitors and self-adjusts its regeneration schedule to match the volume of water usage in your household, and the Vortec tank. The Vesta also includes a salt alarm, tank jackets to prevent sweating of the tank and a uniform brine tank. To soften water, a salt solution or brine is used to remove the dissolved minerals like calcium and magnesium from your water and replace them with salt. The brine tank of your water softening system is where you store the salt. The alarm on the brine tank will visually alert you when it is getting near time to refill the tank. The uniform brine tank refers to how salt is dispensed into the tank. The uniformity of the dispenser allows water to access the salt in the brine tank from all sides, which leads to a more even and economical usage of the salt. Finally, there is the Vesta Twin Unit. This system has one of the most advanced controls available, resulting in soft water at all times of day. It achieves this by regenerating one tank at a time, leaving you with access to soft water 24/7/365. Better yet, each tank uses 100% of its capacity before regenerating. This results in big savings back to you, as your system will use less salt and water. This water softening system also monitors usage and will self-adjust the regeneration cycles to best fit the needs of your household. 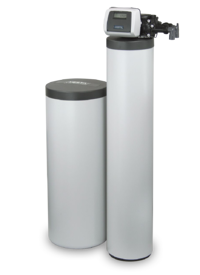 Prices on these water softeners start at $999. We have lease options starting as low as $27 per month. We also offer preventative maintenance packages and solar salt. Think solar salt is expensive? Think again. Each of our water softener installs come with 100 lbs of solar salt. Solar salt is a high-grade salt and is a huge benefit for your system. When we deliver, we also fill your salt tank and inspect your system. In addition, the resin that we use in all of our softeners is chlorine resistant. Most competitors use a standard resin that fouls quicker, resulting in more maintenance for your water softening system. If you have more questions about adding a water softening system to your home, contact us today. We're always here to help.